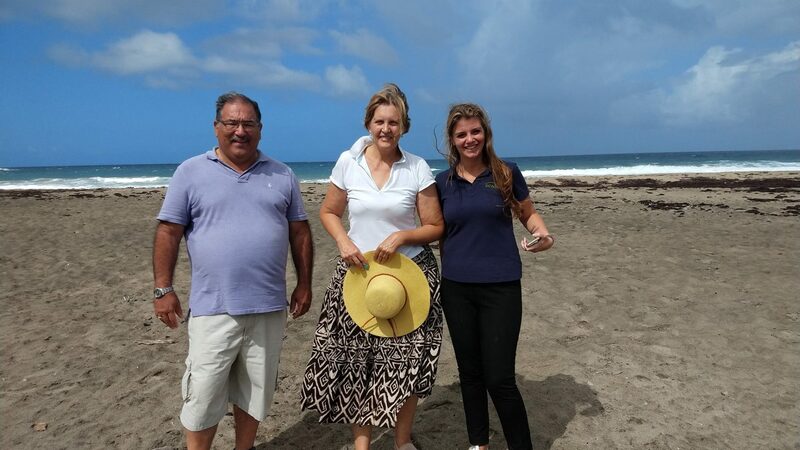 Representatives of the Dutch Caribbean Nature Alliance (DCNA) paid an interesting 2-day visit to STENAPA last week. 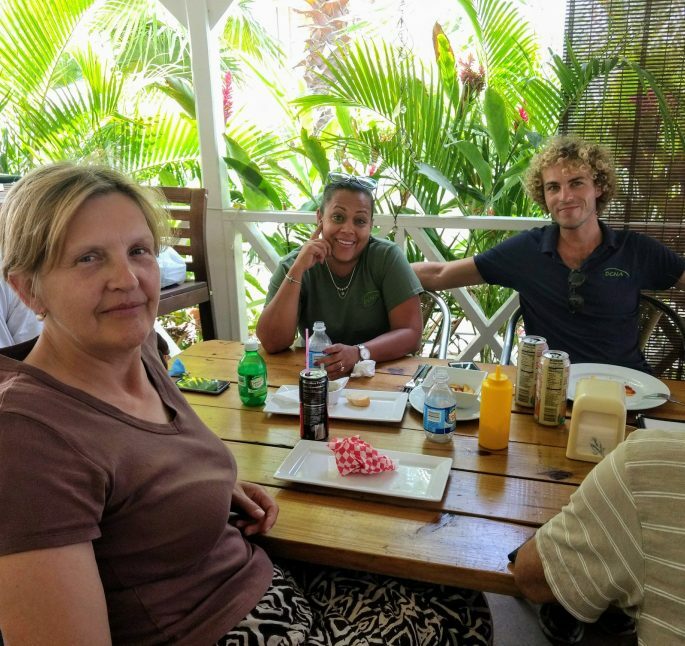 DCNA is the network organization for all the National parks in the Dutch Caribbean and therefore a close longtime partner of STENAPA. Thursday, DCNA treasurer Norman Kuiperi came to the island. He is also treasurer of Arikok National Park Foundation in Aruba. On the agenda were talks with the staff about capacity building, sustainable financing and continuity. Kuiperi was also interested in the Marine Parks operations on Statia because Arikok will take on the management of a protected marine park in Aruba. 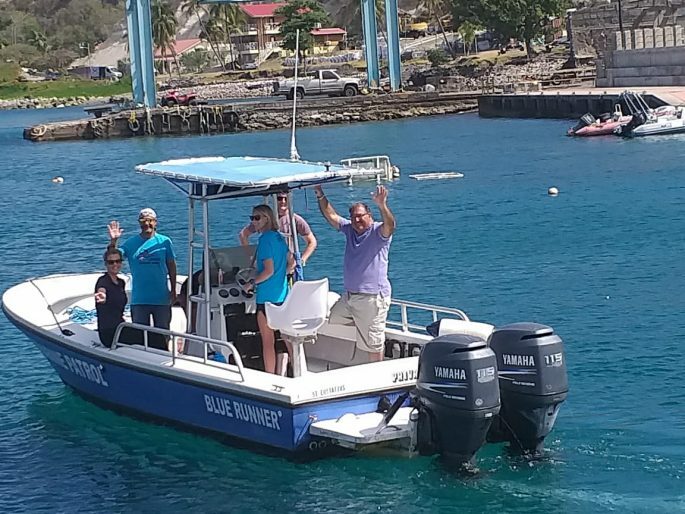 Therefore the delegation went on a boat trip with the STENAPA marine rangers. Kuiperi was able to get useful information about starting a marine park, so as not to reinvent the wheel. Other DCNA guests were Tineke van Bussel, well-known for her production of the newsletter Bionews, Emery Martha-Neuman and Olivier Kramer. Thanks to DCNA, STENAPA is able to conduct several conservation projects. One major example is Save Our Sharks.